Carriers' heroic efforts to keep mobile devices well-connected can go to naught once users walk into a hotel or office building, if the signals can't get in. Now someone else can solve that problem, according to Ruckus Wireless. The enterprise Wi-Fi company wants to become an LTE network vendor, supplying gear for indoor networks that could belong to a service provider, an enterprise or a building owner. Trials will start this year, and if the idea catches on it may go big in 2018, Ruckus Chief Operating Officer Dan Rabinovitsj says. On Thursday the company shared some details about the system, called OpenG, after Rabinovitsj outlined the idea in an interview last month. It will demonstrate OpenG with Qualcomm at Mobile World Congress next week. Outdoor cell networks often don't work well in buildings because they can't get a strong signal through the walls and windows. The solution is usually either an expensive and complicated DAS (distributed antenna system) or a network of small cells within the building. At least in the U.S., where mobile operators don't share infrastructure, those small cells only help subscribers for the carrier that put them up. And they need to be carefully deployed to prevent interference with an outdoor network that uses the same frequencies. Ruckus says its system, called OpenG, will offer an LTE network that's relatively simple to install and operate and can be "neutral" -- serve all users -- without having to carry each carrier's frequencies. OpenG faces its share of hurdles: As a brand-new LTE network vendor, Ruckus is going up against companies that have been refining cellular infrastructure for decades. And users will probably need new handsets to use a frequency band that's just being made available for mobile services. Ruckus is turning to the 3.5GHz wireless band, a set of frequencies that the U.S. government is opening up for shared use. The spectrum is well suited to indoor networks because it tends to stay indoors and will be available for unlicensed use in most places, Rabinovitsj said. Ruckus's channel partners, already experienced in building Wi-Fi systems, would set up OpenG networks for building owners or enterprises. One network could serve all carriers. Most companies and hotels have indoor Wi-Fi networks. But LTE is already built to carry voice calls, and it's easier to shift users from their carrier's network to a cell system than to Wi-Fi, Rabinovitsj said. Also, LTE can squeeze more performance out of a given amount of spectrum. OpenG is just the latest idea for taking advantage of broad swaths of radio spectrum outside the bands licensed by cellular operators. Various other technologies using unlicensed spectrum, including the controversial LTE-Unlicensed, will be in the spotlight at MWC next week. Carriers and other network builders are turning to unlicensed frequencies for untapped capacity and in some cases a way around the cost and complexity of acquiring spectrum. 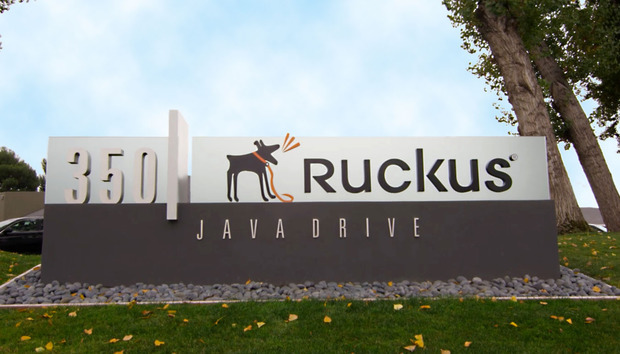 Ruckus plans to make OpenG compatible with MulteFire, a form of unlicensed LTE with roots at Qualcomm, but it's not tied exclusively to MulteFire technology, Rabinovitsj said. Ruckus recently joined the MulteFire Alliance industry group, which was formed last year and will hold a launch event at MWC. The sharing arrangement that's emerging for 3.5GHz is the first of its kind. It will serve three types of users. The U.S. military has held the spectrum for years for uses like landing planes on aircraft carriers. It will remain the top-priority user, but it won't need the spectrum most of the time, in most places. The next priority will go to users who buy licenses to part of the band, though those licenses won't be as exclusive as what carriers get. Apart from those users, the 150MHz-wide band will be pretty much like the unlicensed spectrum Wi-Fi uses now. Even where there's a priority-access user nearby, at least 50MHz of the band will be available, Rabinovitsj said.